Use this thread for discussing the N54 flashing tools, logs, XDF files, BINs, etc! What is a back end flash map? For those who prefer flash tunes but want to keep the benefits of JB4 functionality and features just add in a back end flash map. The BEF are templates you can write to your DME using the MHD or BimmerBoost N54 flashing systems that are specifically designed to compliment JB4 tuning. These maps adjust fueling, timing, load targets, VANOS, and other functions on flash side while allowing the JB4 to retain its superior absolute boost control, on the fly map changes, in dash gauges, shift light, auto learning/self tuning, gear dependent boost control, data logging, WMI integration, PI integration, NLS, and other features. It's simply the best of both worlds and greatly eliminates the need for expensive and time consuming "custom tuning" those running flash only often have to resort to. Note BMS is not affiliated with BimmerBoost or MHD, does not provide flashing tools, and no flashing support is provided beyond the templates posted. Contact BimmerBoost and/or MHD directly for flashing support and additional information as needed. What are the benefits of running a JB4 with a flash rather than flash only for tuning? While it's possible to tune an N54 without a JB4 doing so comes with many disadvantages. 1) The JB4 includes more robust safety systems than are possible via flash only. Starting with fundamental safety systems like reverting to a safety map if boost exceeds your safety setting, if the air/fuel ratio in either bank turns dangerously lean, or if fuel pressure drops below a safe level. While you might think the DME alone can handle these basic safety systems surprisingly it's not the case. The DME will happily let you run along at full power and a 18:1 AFR, with boost pegged if a WG line drops off, and the only fuel pressure safety provided is when fuel pressure drops down so low fuel injection itself has to be suspended. In addition to these basic safety systems the JB4 offers layered advanced safety systems. For example it monitors fuel trims bank to bank and reverts to safety if they exceed more than a 15% variance indicating a possible fuel distribution or o2 sensor issue. Port injection and WMI add extra failure points and the JB4 control provides advanced safety systems for them as well. The port injection FAQ covers the basics. 2) The JB4 boost control system is programmed as absolute meaning you'll always target a specific boost level. Unlike the DME which naturally implements a LOAD control system where boost levels go down when it's cold and go up when its warm. The opposite of what you generally want for turbocharged performance. In addition the JB4 is quick and easily adaptable to a wide range of setups eliminating the need for expensive custom boost tuning and the risks that come with repeated logs on systems that are not yet setup. It's not uncommon for engine damage to occur while a new setup is initially being dialed in. The JB4 automatically tunes wastegate dutycycle, fuel trims, and other important tuning criteria full time in the background greatly simplifying the tuning process. In addition the JB4 auto-tuning map can self tune for various ethanol mixtures without the need of an expensive and difficult to install flex fuel sensor. Pedal to boost mapping, spool aggression, boost by gear, and other critical factors can be easily adjusted in dash on the fly to suit the needs for the particular track or racing situation. 3) On the fly changes. Whether it's changing the boost/power level, boost by gear setting (including being able to disable it on the fly for burn outs or if traction turns out to be better than expected), pedal input, 2STEP RPM, or what gauges are shown in dash, the JB4 allows a wide range of user adjustment real time from the drivers seat without having to use a 3rd party device or risk programming the DME between runs. You're able to make the changes while out on the track where you need to make them. 4) The JB4 allows for much better real time feedback to the driver. User adjustable in dash gauges allow you to keep a constant eye on boost, timing, knock, meth flow, and/or AFR, all selectable and changeable on the fly from the drivers seat. A user adjustable shift light can be triggered making rowing through the gears easier. JB4 Mobile allows wireless bluetooth logging via your Android or Apple phone without a cable locked in your OBDII port. In addition you can select map0 on the fly to allow OBDII port logging and diagnostics when needed for vehicle service. The JB4 default logging set includes all relevant data required for tuning including boost, timing cylinders 1-6, AFR and fuel trims in both banks, high and low fuel pressure, load, calculated torque, trans temperature, and many other parameters. The JB4 provides a simple to use but incredibly robust data logging system eliminating the need to select what parameters to record before each run and providing instant on the fly charting without the need of 3rd party internet programs. We routinely add parameters to the JB4 logging set based on customer feedback and evolving tuning requirements. The JB4 samples boost and analog sensors 250 times per second and CANbus specific data like air, fuel ratio, fuel trims, and timing advance 10 times per second. 5) Integrated JB4 features such as no lift shift, 2step, anti-lag, port injection control, flex fuel sensor, and progressive water/meth (WMI) control eliminate the need for independent add on boxes that are more difficult to install and technically unable to communicate with each other. Integration allows these extra features to share information for a smooth and cohesive tuning solution. For example with the JB4 NLS and JB4 port injection control when you press the clutch in for NLS your port injection flow is momentarily suspended to avoid huge backfires that have been known to blow out o2 sensors and in extreme cases blow up intake manifolds. When the DME requests a torque drop due to traction or stability control the JB4, WMI, and PI systems all respond accordingly. JB4 anti-lag has a dedicated user adjustable boost limiter to avoid unnecessary engine stress while engaged. WMI integration is able to hold boost levels low UNTIL fluid is flowing adequately to prevent spool up and transitional knock, adjust your boost target if the fluid being injected turns out not to be as potent as was expected or required to prevent knock, and in the event of a fail-safe depending on the severity of the situation either lower your boost target partially OR instantly dump boost out the diverters/close the throttle/cut timing. These are just some of the many examples of why having add on boxes an features all integrated through a single system is advantageous. 6) The JB4 is widely used and widely supported including free unlocked back end flash maps and custom mapping support from BMS via the n54tech support forum. BMS sponsors and attends several 1/4 mile and 1/2 mile races per year continuously improving the JB4 base maps and features based on real world experience and feedback. These updates are provided free of charge to JB4 customers via n54tech firmware posts. 7) The JB4 hardware is robust, reliable, highly developed, and upgradable, with many thousands of systems in use since 2008 when it was first released. The key to the JB4’s success is that it DOES NOT replace the factory engine computer or DME. The JB4 simply adds on to functionality already provided by the DME. As a result the DME remains in full control of your engine at all times with the JB4 dynamically making small but impactful adjustments to add in extra safety systems and features and dramatically improve performance. Software requires a windows laptop and a Bavarian Technic USB/OBDII cable. Software is not currently compatible with generic USB/OBDII cables. 1a) Set your JB4 to map 0 first to disable it. 1b) Run installer package to install BimmerBoost flash application on laptop. 2) Plug Bavarian Technic cable in to OBDII port. 3) Turn on ignition. This means all lights showing in dash including SES light. 4) Turn off your radio, climate control, lights, and any other unnecessary accessories to avoid draining your battery. 5) Connect USB to laptop. 6) Open BB flash program and select "ID ECU". 7) If properly connected you should see the software fields fill in. The most common files are IJE0S and 18A0S. This ID field will be used later to download the proper TunerPro XDF file to modify your DME. DME Voltage should show. If you do not see DME voltage there is an issue communicating with your DME. Do not continue. 8) Select "READ ECU" to start the read process. The software will default the name to your VIN.org. Reading the BIN out will take approximately 70 minutes. In some cases a battery charger should be connected before reading. 9) Once reading is complete save a copy of this original file in a safe place. This is your only DME backup. Loose this file or accidentally modify it and you'll have a headache later. Depending on the version your original will be saved as ORG or BIN. 10) Download the appropriate tuned BIN below for your DME type, mods, fuel, intended usage, etc. 11a) Note for 2007 KLINE models. You MUST have a 10amp+ battery charger connected for a full write. The gateway between the OBDII port and DME will shut down if it drops below 11.5v which is common during a full write without a charger. When this happens you will get authentication failure messages, file mismatch errors during and after write, etc. 11) Copy the modified BIN over to your laptop and repeat steps 2-6. Once connection is verified select "WRITE ECU" and select the modified BIN. The write process will begin. The first write takes ~15 minutes and subsequent writes will take ~2 minutes. Expect the fuel pump to run and all error lights to appear in dash and NAV screen while flashing. The most common write failure is due to a low or old battery so a charger is highly suggested for full writes. 12) After writing is complete wait 15 seconds and then remove the key from the ignition. Put the key back in the ignition and start the car. Programming is now complete. iDrive cars will experience a SES light on until the car has been restarted a few times. This is normal and will be corrected in future builds. 13) After loading the back end flash map set JB4 to mode 4/2 in dash. This tells the JB4 to use higher than normal boost targets for each of its maps. Map 1 is 15psi, Map 2 is 17psi, and Map7 is 19psi. All other maps (3, 4, 5, 6) are unchanged and can also be used. 1) This software requires a Bavarian Technic cable. The software does not use the BT licensing so it does not matter whether or not the BT cable is VIN locked and it will not consume a VIN within the cable. This software DOES NOT YET work with other USB->CAN cables such as those used for INPA & coding. 2) This is open source software and no vendor support is provided. As such if you run in to a problem or need help you'll have to seek assistance on BimmerBoost. 3) It would be wise to only flash the car at home in your garage the first time so if something does go wrong requiring you to seek support you're not stranded during that process. 4) Flashing your DME involves some risk including the risk of bricking the DME. The way this software works chances of bricking your DME are close to zero but understand some risk exists with any flashing product. If you did manage to brick your DME you would need to remove it and have it bench flashed somewhere or do a full software write using an INPA system. 5) If the car has been previously flashed (with say Dinan, GIAC, etc) you may run in to problems as these tuners delete the commands used to read out your BIN. Consult the BB Open Source community for additional information. MHD is a paid DME flashing system, similar to the free BimmerBoost software, and Cobb software, only instead of flashing with your laptop computer or Cobb's handheld device, you flash using any Android device. To use MHD you will need an Android device, a micro-USB to USB adapter, a DCAN cable (like the ones used for coding, they are around $25 on eBay), and a MHD software license. While MHD can be used as a stand alone flashing system when used in conjunction with a JB4 you get a much higher level of functionality, safety, and features. MHD has a per VIN license fee. To use MHD purchase only the $79 "load a backend flash" option. You do not need to purchase any MHD maps as we provide those free of charge below. Just copy the maps to your device root directory to load. You do not need to purchase the MHD logging module as the JB4 will be handling all logging for you. All the maps are included in to a single download file named by release date. Maps are organized by the file name using the specifications below. These templates are unlocked allowing you or your tuner to make whatever adjustments to base timing, AFR, and other factors you need. Software Version: IJE0S for MSD81 (most 2008 and newer cars), I8A0S for MSD80 (most 2007 and early 2008), INA0S for 335is models, and IKM0S for 1M models. Fuel Type: PUMP is suitable for pump gas fuels and up to 30% E85, RACE has more aggressive timing curves best used with higher octane fuels, while E85 has timing and air/fuel ratios best suited to E40 and higher mixtures. ST: This designates maps that are intended for single turbo applications. They run load, timing, air/fuel, and VANOS curves optimized for single turbos. KR: This designates maps that have altered knock sensor sensitivity tables. We've found the platform highly susceptible to false knock, timing drops on higher octane fuels, particularly post shift, and desensitizing the knock sensors will reduce this tendency and improve performance. Alternatively the [KR] changes also increase the risk of engine damage if running the map outside of its octane/boost requirements and/or if actual knock occurs. Note this is now a flash time option that can be applied to any BEF map when flashing via the MHD flash a back end map option. 1) Adjusted anti-lag from -25 degrees to -36 degrees across all maps for testing. If using your own XDF be sure to update it's range if making changes yourself. XDF included with maps has been modified already. 1) Added v8bait's cold start tables to all IJE0S E85 back end flash maps, should improve cold starts on E85 fuels. If all goes well we will port the same changes over to the other ECU versions. 2) Various tuning changes, new maps added, etc. 1) Various minor tuning changes. 2) Added some THR maps for single turbo use with a more aggressive pedal to boost profile preferred by some drivers. 3) Added a BB2 version of INA0S PUMP which can be flashed with BB or MHD. The rest of the INA0S maps are MHD only. Will add the rest of the INA0S BB2 maps in the next update. Once you have all the required latest versions of hardware and software, you will need to update the firmware in the JB4. It is recommended to create folders for both JB4 firmware files and BMS Backend Flash files to keep them organized and be familiar with their location for future use. The MHD Flasher and JB4 phone app will prompt you to select a file version from these files, Knowing where they are makes things easier. 1- Connect the JB4 USB cable to your OTG micro USB to USB adapter and to your phone. 2- Open the JB4 phone app on your phone/tablet device and enable a connection to the JB4. 3- Select: settings tab, then scroll down to the firmware tab and select it. 4- You should now see the N54tech forum inside the jb4 app. Select the N54 section, then in the "stickies" section, select the "N54 G5 ISO Firmware & Notes" thread. 5- Scroll down and find the latest firmware version listed at the bottom of the first post. READ THE NOTES! It shows the changes and any required internal jb4 setting changes you will need to perform. Select the file download link listed for the latest firmware version. This will begin the installation of the firmware through the jb4 phone app. Follow the guided steps in the app to complete the process. 6- OK. You are now running the latest firmware version! 7- If you will be flashing a BMS/MHD Backend Flash, you will now need to set the JB4 to MAP "0" before continuing! 8- now go into the jb4 phone app and Under the settings tab, read only tab, find the correct version of your car, IJEOS or I8AOS. Write this down for future use in selecting the correct Backend Flash you'll need in the upcoming steps. 9- Congrats you have completed the first task in preparing the JB4 to use a Backend Flash with the latest firmware installed! Future firmware updates will be installed in the same manner unless Terry changes it. 1- Have your K&D CAN Cable, micro USB to USB adapter, phone/tablet device, and car battery charger out and ready for the next steps. Note, this flashing process can vary from ~15-40 minutes depending on your DME Version. 2- Open hood and connect your battery charger to the car (follow BMW Procedure for this). I used the 12amp charger setting, as the fuel pump draws a good bit while flashing. 3- Turn on your car without starting, key in ignition, start button pressed without foot on clutch or brake. Now turn off all accessories such as the hvac system and radio etc. 4- Plug the K&D CAN Cable into the obd2 port near the left kick panel near door opening. Connect the OTG micro USB to USB adapter to the K&D CAN Cable, and connect to your phone. Open the MHD Flasher APP on your phone/tablet device. It should begin recognizing the connection to the vehicle. 5- once the connection has been established. Go to the store tab, this is where you will purchase the BMS Backend Flash license. Select the BMS Backend license for purchase, currently $79. This can be paid with your Google play account. Once payment is made you are ready to begin flashing. 6- Verify you are in jb4 map "0"
7- In the MHD app select "Flash a JB4 Backend"
8- This will open your phones SD card directory. Find the file you downloaded previously from N54tech MHD Flash discussion first post on page 1, currently version 6/6. You should have already unzipped the file as directed during initial download. If you are not seeing the Backend Flash files in your folder, you probably did not unzip them. Go back and unzip and repeat the last steps. 9- You should be looking at a list of Flash files to choose from. Based on the requirements listed on the first post in the MHD Flash discussion thread, select the appropriate Flash level and DME compatibility type for your car. E.g. I8AOS PUMP FLASH etc. 10- Once selected the MHD app will go through a read process and then ask you to begin the Flash. If everything has been done as expressed above, you can click to continue. Once flashing Its recommended to let it complete without touching anything or opening doors or flipping switches. I setup everything so I was not inside the car so I wouldn't be trapped for possibly up to 40 minutes with nothing to do..
11- Once the Flash is completed follow the instructions it provides to finalize the procedure. Once done, power down the car, remove the key from ignition, remove the cables from the obd2 port, unplug the battery charger and remove the positive and negative charging leads from the car. 12- Power up the car without starting, enter the jb4 steering wheel controls, select 4/2 to enable Backend Flash compatibility. Set your jb4 to your appropriate map setting for your car. Start the car. Pending it runs, your done! Congrats! You're all done with installation! Now drive the car and use the logging function of the jb4 app connected to the jb4 via the USB and OTG adapter to capture some data for review. Post the data logs in the support section of the N54tech forum. You will get a clear idea of how everything is working and how you can advance into more aggressive maps, flashes or both to further Increase power. This will be based on how your car is doing with your current bolt on modifications as well as advice in what to add as your next bolt on mods to allow further tuning increases. Experts please review for errors omissions and add corrections as needed! Yes, normal JB4 firmware works the same way. 2) We'll rescale boost out so that say 14psi reported is 14psi and 21psi reported is say 28psi. So you'll be able to rescale your flash maps in that range. There is a POT on the device so we could make the upper range adjustable so you can maximize the resolution for the desired boost target. 1. I love the JB4 features, cool that you can do it with JB+ as well for a flash only setup. But I really don't want to be losing the JB4 features. 2. My mistake MHD works via hooking up a dcan via OTG cable is that right? I couldn't be more thrilled about this new tuning setup... now we just need delivery. I wanted to get a thread going with some of the Beta testers for discussions on best practices, general info and sharing of community maps. Previously was running a custom E50 map that I based off the BMS E85 flash with JB4 map 7. So far, I'm pretty happy with the performance of the E40 map, I do miss my 2nd gear boost limiting + boost on fuel and there needs to be some refinement of the app but it is very cool that we basically have full Cobb functionality + Tuner pro options without being locked down with expensive hardware. Just patiently waiting for the new XDF tables to be pushed public! Beta tester of the MHD app , and working in Jake's team for the new tables. Already tried the E40 map (in fact for 40% ethanol, it should be called E30) JB4 unplugged, but still waiting for the V2 version, i had issue with the first one released. Torque monitor ceiling, boost ceiling, requested torque monitor A&B, and others "locked" tables are now editable and flashable, which is great. Last edited by trebila; 03-09-2015 at 12:22 PM..
David, btw... sorry for not getting back to you via email... I was never able to flash your map as I got my modified BMS E85 one running well and then was traveling for work but started with MHD a few days ago. Shoot me an email, let's chat some more. Moved the other MHD discussion posts over. Somehow it converted it to my thread, lol. Sorry. With the race logic you should be able to dial in say 18psi at redline. If we're going to use this for the single turbo cars that is what I'd want to see. Crank it up as high as you can and post some logs so we can verify that aspect is working. Donnie was going to port the app but dissasembling the bin is taking priority right now. The BB flash team believe they can fully disassemble the bin into the native assembly code and fully understand everything including logic and table relationships in the DME. I highly recommend people throw them a few dollars for their troubles/to buy disassembly software. If they complete this and release the source people smarter than me could start making new features like boost by gear etc. we wont only have access to changing table values. but more realistically shift flatline will be a thing of the past 100% and you'll get your idle and knock tables Terry. If they succeed will you consider making a map 0 that completely passes through the JB4 so people can run a daily map using the more advanced torque management of the DME and have JB4 for RACE maps essentially. I'd loved to have a 18 psi daily tune but increased boost at my fingertips via JB4. I'm the most agnostic person there is when it comes to software, whether that be productivity tools for work, software for my car.... it's a fine balance of financial incentives & performance. Right now I own JB4, BT cable for flashing and am using the MHD option. Very excited for a dyno day next month as well as a trip to Sacramento drag strip for some testing. haha any way to make it my thread again? 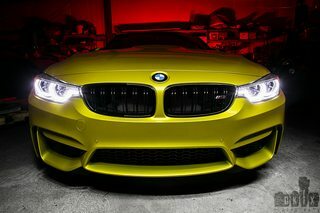 I think BimmerBoost is the only independent forum around. Their only interest is in attracting readership and sponsors. The other main forums, e90post, and this forum, have various biases. I wasn't trying to bash you or N54tech, I just don't want readers to perceive this as a thread that YOU created... I'm trying to make sure everyone knows that I'm not bashing MHD or promoting BMS stuff based off any affiliations and try to keep this thread as objective as possible. No worries. I'm just pointing out the obvious. This is an inherently biased forum. I don't see why myself or anyone would have an issue with anyone posting logs, etc. If Wedge comes in and goes gung ho again on how the JB4 is causing issues.. And we can show its actually his maps that are the issue. Then that is another story. But I think he's over that behavior by now. If we're going to use this for the single turbo cars that is what I'd want to see. Crank it up as high as you can and post some logs so we can verify that aspect is working. The targeting looks consistent with Cobb's race logic so that is good! Do you have the BIN used in that log so I can see what its internal load targets look like? If you take the same BIN and flash it without being licensed for the race logic then does it just target a lower load on its own or does the car crap out? The car will crap out without the increased boost ceiling option. You can see actual load on this particular log, the customer targets a 216 load. But he's not done with tuning yet. Can't it just clamp at the load ceiling as the BB software does now? You can enter 200 load in the table at 6500rpm but in the log will only achieve say 140 at that rpm. 200 target loads can be flashed with the BB soft, but the limiting factor is the boost ceiling value, which is clamped at 1.28 bar (~18.5 psi). That limit is removed with the increased boost ceiling option of the MHD flasher (as well as the increased torque limits which allow the ECU to see more than 600 NM, but that doesn't require the boost option). OK I think I just need to dig in to it so I have a better context for how to best implement our back end maps in the environment. Currently with the free software, we can't get DME boost target above say 12psi at redline, due to the missing torque limiter tables. But then even at 12psi we have to deal with post shift timing drops on IJE0S unless tuning down to say 9psi. With Cobb we're able to run a higher top end target without the timing drop and I'm hoping that will be the case with MHD. Ultimately exposing the knock tables will really move the platform forward I think. Are the MHD devs looking for any more beta testers? He's in the EU so it's late for him now, might want to ask tonight. Subscribed to see where this goes! The idea if no more flatline timing on my autos is great. For the moment Terry and Trebila are making tests for the JB4 backends. The beta testing is more targeted at standalone flash users.